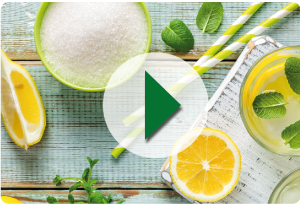 Aromatech develops flavours specially formulated for alcoholic and alcohol-free drinks, available in liquid, emulsion or soluble form and spray-dried or granulated powder (for instant beverages), according to application and manufacturing constraints. We offer complete preparations incorporating texturing, colouring, opalescent and acidifying agents, fruit juice, functional ingredients and sweeteners. Flavours correspond to consumer trends and take into account local taste, the aromatic effect desired and cultural factors. They include cola, fruit/flowers, fruit/vegetables, exotic fruits, superfruits, cocktail notes, dual flavours and brown notes. Aromatech develops flavour compounds for dairy products, tested under real manufacturing conditions to take into account temperature and processing constraints. The flavours developed meet consumer trends and take into account local taste, the aromatic effect desired and cultural factors. They include: exotic fruit, superfruits, dual tastes, pastry notes, brown and indulgent notes, floral notes. For sweet products such as confectionery, pastries and biscuits, Aromatech offers specific flavours for pleasure, taste and sensory sensation. They are tested under real manufacturing conditions to take into account processing and cooking constraints. The flavours developed meet consumer trends and take into account local taste, the aromatic effect desired and cultural factors. They include: fruity milky notes, exotic fruits, superfruits, dual taste, long-lasting effects, pastry notes, brown notes, cream, cereal and flavours for children. With the development of health products, consumer demand has focused on taste: more variety along with increased masking of off-notes resulting from vitamin complexes and functional ingredients. Aromatech has perfected a wide range of sweet and savoury flavours specifically developed for meal replacements, soups and other diet products, sports products and cereal bars. The flavours developed correspond to consumer trends and take into account local taste, the aromatic effect desired and cultural factors. They include: citrus, exotic fruits, superfruits, dual tastes, brown notes and cereals. The market in Intermediary Food Products comprises specialist products (cheeses, vegetables, sauces, etc.) for which Aromatch offers Top Notes from its AROMATOP® range. Top Note is a component of savoury flavours, generally the smallest component quantitatively but the most important in terms of its organoleptic impact and its complexity. It is a product with high added value and it requires a high degree of technical expertise during processing. Aromatech develops custom-made Top Note flavours for semi-processed food products, allowing producers to characterise their products. AROMATOP® Top Notes are available in concentrated form asencapsulated by spray-drying or liquid depending on the final application. The AROMATOP® range includes Meat, Seafood, Cheese flavouring, Alcohol flavouring, Vegetables, Spices and Seasonings. The ready meals market has developed considerably in recent years with technically complex products and flavours to meet consumers' expectations of variety and taste. The main trends continue to be nutrition and health with products lower in salt and fat and free of additives and artificial products. Aromatech has perfected a wide range of savoury flavours specifically formulated for cooked dishes and sauces. Natural flavours and certified organic flavours. Today soup is consumed hot or cold and has become a fashionable dish. With the emergence of original recipes, developed by chefs, of premium products along with ethnic flavours, consumers have access to a large choice of soups offered in liquid or dried form. Furthermore, soups have a positive healthy image thanks to their vegetable content and to the development of recipes (additive- and preservative-free and with reduced salt). Bouillons are now considered essential cooking aids and have acquired an image as a natural product, particularly with the emergence of innovations such as jellied bouillons. Natural and certified organic flavours. Snacks consist of all products not consumed at table. The aperitif for example, provides one of the main opportunities for consuming snack products (a meal in miniature, playful and creative). The snack market now meets the expectations of consumers: a variety of flavours (original combinations, references to established dishes, etc. ), more sensations (hot or refreshing effects), and healthier products (reduced salt and fat content, etc).